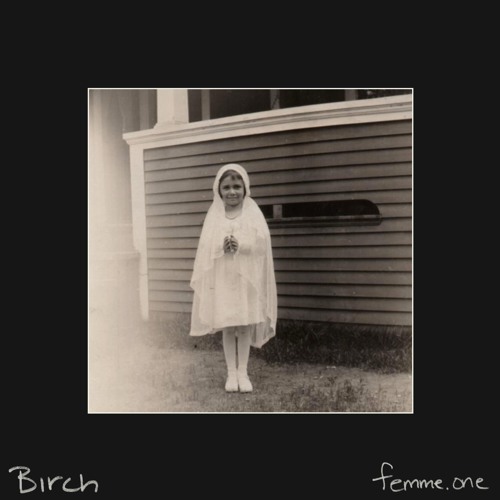 Home / Birch / brand new / música / Birch Drops New Album "femme.one"
Birch Drops New Album "femme.one"
Synth-pop singer-songwriter Birch has just released her feminist concept album, femme.one, which showcases her own personal experience as a woman in today's society. This is quite a beautiful 9-piece album on which Birch uses lush instrumentation of electronic and acoustic elements that put you in her eye while sharing the relationship she has developed with feminism. I am really enjoying the lush synth lines, groovy percussion and guitar works that are present throughout the album that perfectly allow her celestial vocal approach to shine. The main theme of this album is to explore how it feels to be a woman in this ever changing world. femme.one is a personal narrative and feminist concept album because it expresses how it feels to be a woman today while trying to find my place in the world. By running a chronological exploration of my relationship with feminism, many of the songs share musical elements and even bleed together as you'll experience with the bleeding of my last two songs. Stream this lovely project below!